Isn’t it strange how we used to talk to one another instead of staring into our phones? That’s the first thing that hit me about the brochure. The second thing is the style of the place that’s being advertised. 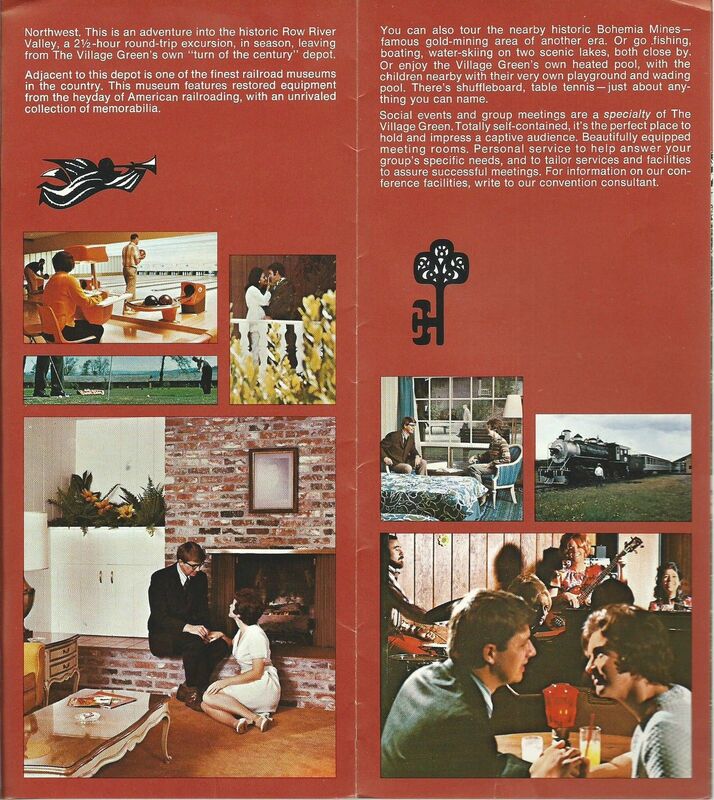 I’m not saying it’s good style, but it’s style: architects and designers attempted to make a physical space more appealing to the people inhabiting it, and a designer created the brochure to impart that sense of warmth and welcoming to potential customers. Now that we spend so much time in virtual space, physical space has inherited the modern “style” of the online world: an aseptic and non-commital functionality surrounding a series of electrical outlets. Plug in here. Click here. There is no such thing as home. Keep moving. P.S. Doesn’t it look like the kid on the bed is holding up a Darth Vader action figure? 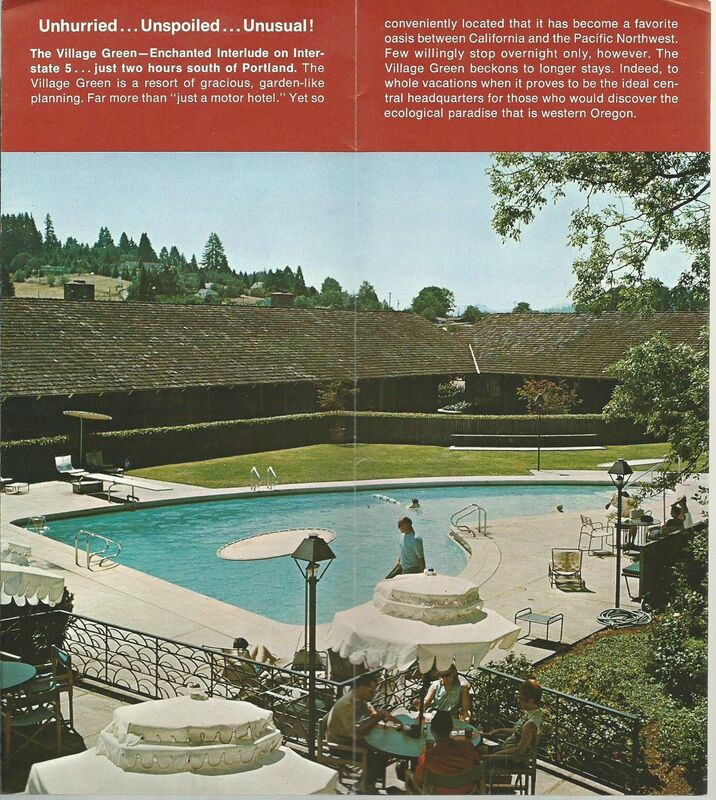 Wasn’t “Village Green” also the name of Dennis Hopper’s resort complex in Land Of The Dead? 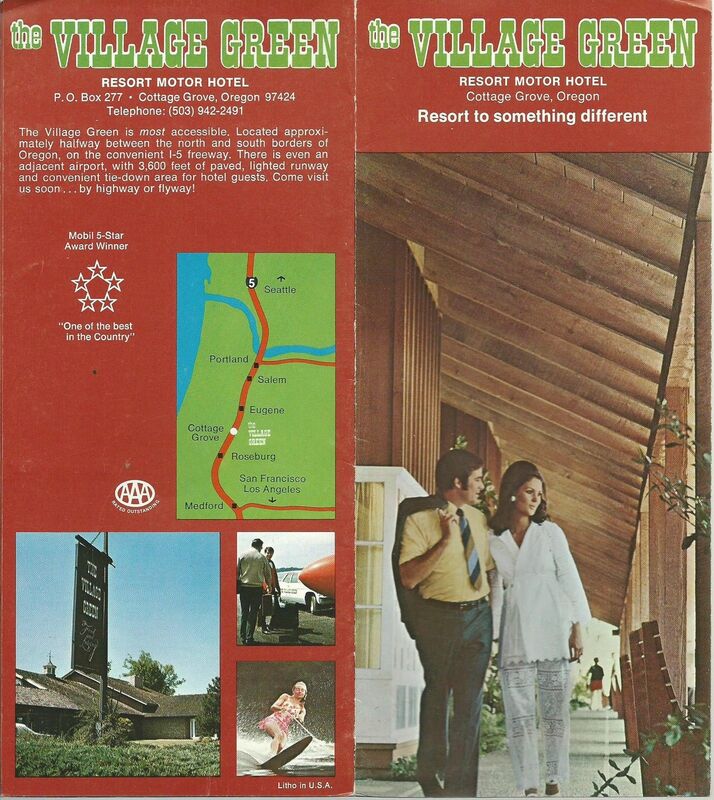 Fiddler’s Green, but yes, Romero would have objected to the resort hotel on entirely different grounds. Yesterday’s poison is today’s antidote. “The Village Green Preservation Society” is a great, non-satiric Kinks album about the deterioration of English country life, an idea this hotel is trying to capture (or manufacture). I’m just waiting for that guy to let go of the diving board. Thwapapapap!! I think he’s gearing up to hawk a loogie in her face. That’s what happens when you bogart the diving board. Awesome. I just thought of Kate Winslet bogarting the plank from the Titanic. She can’t make some room for Leo? 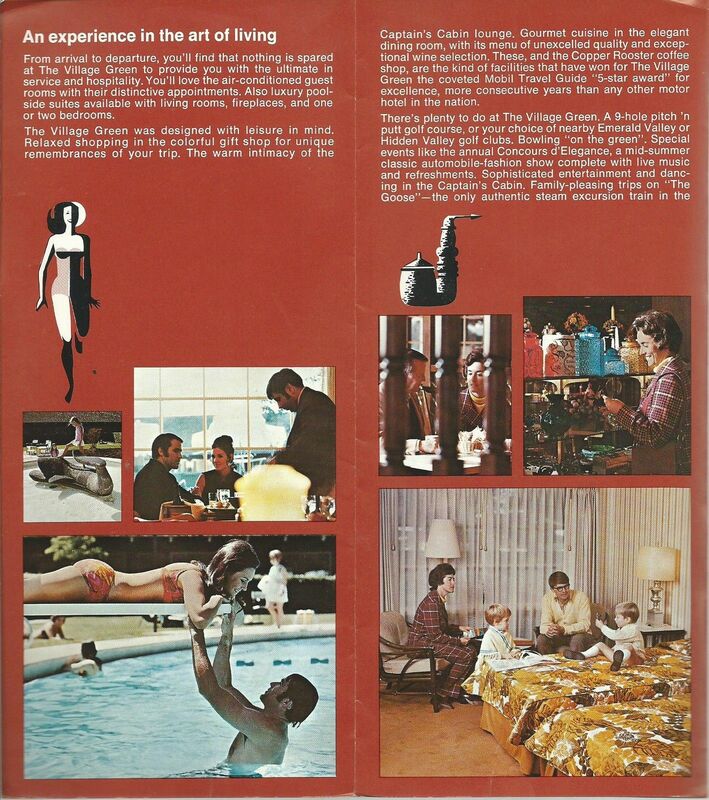 I missed the Darth Vader action figure, but what I *did* notice is that the woman sitting next to the bed is also having dinner with a different man in the photo directly above. Apparently, swinging is also a Village Green specialty. Hilarious. That’s got to be her dad in the top photo! I refuse to believe a woman in such a distinguished plaid suit could be such a hussy.